He’s been in the news recently for his advocacy efforts, but if you know Cletis Earle, you know it’s just one of the many passions that drives him. In addition to heading up CHIME’s diversity initiative along with Liz Johnson and Myra Davis, he’s set to begin a term as Board Chair in 2018. 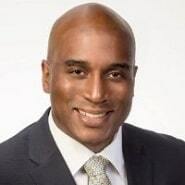 On top of that, Earle is one year into the CIO role at Kaleida Health, an organization that’s going through a period of rapid growth. 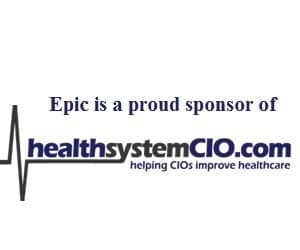 Recently, he spoke with healthsystemCIO.com about the “adapt and adopt” approach he brought as the new CIO, why leaders need to not just think outside the box, but traditional healthcare when it comes to population health, and why he believes we’ve entered a “new day” with cyber warfare. Earle also shares his thoughts on how his team is looking to “tap into the social experience” with patients, and how the CIO role will continue to evolve. You have to start thinking outside the box and you have to start to think about what is healthcare. Healthcare is not only the things that are in your control, within your four walls. It’s one common network, one common platform, and that’s why you have to share standards, you have to share models, and you have to share strategies — because when one goes down, we all may go down. That’s something that we tend to forget. It almost becomes a skill set in itself when it comes to children’s move, and you’re going to see more and more of these occur in the future. I would emphasize to any organization that if you have one of these events in the near future, reach out to other people who have experienced it. Having a generational design and incorporating that into how our customers use the system is going to be transformative. And again, we’re making that a closed-loop process as well so that when they go home, they’ll be able to pull up their medication instructions or discharge instructions, and not just disregard it. Gamble: It’s interesting because there are other components like transportation — I know we talked about that when you were with your last organization. It’s really looking outside of the realm of traditional population health and trying to improve the care process. Earle: It’s interesting, I met with the Mayor of Buffalo and his staff a couple of weeks ago, and we started to have a similar dialogue. Because again, in order to do these things, you do have to start thinking outside the box and you have to start to think about what is healthcare. Healthcare is not only the things that are in your control, within your four walls. It could be transportation, it could be making sure people have air-conditioning if they’re chronic heart failure patients. So it’s a collection of different things you have to start to think about. I’ve only been here a year, and so we just met with the city to potentially think of different types of opportunities to share strategies. Another component is we’re working with our competing institutions to see what else we could do — not necessarily around population health, but around security and how do you collaborate a little more effectively to make these things happen. Because in this new world it is definitive that you just can’t go in it alone; it has to be a collection of different ideas and models. And I would say we’re at the forefront of starting the dialogue when it comes to collaboration on all fronts, whether it’s competing facilities, the public-private sector, or even just municipal institutions. Gamble: I’m glad you brought that up, because one of the things I wanted to talk about was cybersecurity. We’re seeing more of a push in the industry for collaboration. I can certainly understand why in the past people have been hesitant to talk about it, but it seems like the trend is moving toward breaking through that. Earle: Yeah. And some of the challenge behind that is, unfortunately, the regulations associated with cybersecurity make people a little nervous. If you think about it, people don’t really want to share. With the recent WannaCry outbreak that just occurred, if you participated in some of the calls with HHS, it was so telling. Nobody really wanted to share which facilities were breached or potentially compromised, and what were the variants that are out there. People are very guarded in this. Even the Federal Government was relatively guarded of what was going on at the time. I chuckled a little bit and for the fact the government says, ‘you should tell us when something occurs and share that information,’ but when it came to them in that scenario, they weren’t outright willing to share — and rightfully so. We understand why. We do get that you have to be cautious. You don’t want to provide misinformation or put people into a panic. People are still trying to discover what’s going on, and it’s very difficult while you’re trying discover that, to try to release information. I thought that was a very interesting dynamic of how people collaborate in very trying times. Gamble: Right. And right in your neighborhood, Erie County is going through some issues with a virus. Not that you need the reminder, but it really can happen anywhere. Earle: ECMC is a strong partner of ours. As a matter of fact, they are a major part of us under the Great Lakes Health umbrella, which consists of the University of Buffalo, ECMC, and Kaleida. As a partner, it’s very clear that this is why it’s important for us to share and collaborate, because as partners share information, there’s this digital footprint that occurs. As we become more integrated with sharing information, we become more susceptible to each other. This is just going to become more prevalent and we have to keep note of that. It’s one common network, one common platform, and that’s why you have to share standards, you have to share models, and you have to share strategies — because when one goes down, we all may go down. That’s something that we tend to forget and that’s why collaboration is so important. You cannot take a stance that it’s just us. Actually, everything we do even from a Kaleida perspective — if we make a change when it comes to shutting things down, we have to imagine our partners are going to be impacted by that as well. Some of the things we went through were very interesting; it was a very interesting drill. I give ECMC and their leadership team a huge amount of credit for what they were able to accomplish, because it is very trying to undergo such a bad thing as a vulnerability. Gamble: It’s very scary. I think a lot of people were shaken by WannaCry. Earle: This was a tough month for us, particularly in the Western New York area. You had the incident you just referred to, you had the Google Docs event, and you had WannaCry, all back to back. I think this is, in essence, a new day in cyberwarfare. You have to be very aware of what’s going on, and that this is a new day. Cyber security is essential. Just a few days ago, organizations started to go and get cyber insurance, then it almost it became mandatory. Now, you have to really have a major threat intelligence program in play, or else it’s only going to be a matter of time before it hits you as well. And so, putting some type of preparation or plan in place is going to be essential for every organization. And it doesn’t matter if it’s healthcare or not, although healthcare is much more attractive due to the amount of data we have available compared to other verticals like finance. We have a significant amount of data that’s attracting these nefarious organizations, so we’re going to have to really change our model in how we look at cyber threats and cyber vulnerabilities and put a comprehensive plan to remediate. Gamble: What are some of the other things that you’re focused on now? Earle: For us at Kaleida, we have a few things that we’re really focusing on. One and most exciting things in our area is the build out of our new children’s hospital. We’re going to be moving our current Women and Children’s Hospital of Buffalo to the new Oishei Children’s Hospital facility on the Buffalo Niagara Medical Campus. This is a herculean effort; probably one of the biggest healthcare events in the Buffalo area in well over 100 years. This is exciting. For anybody who’s been in the business of actually moving at Children’s Hospital, it is a really, really complicated matter. Besides just moving to world-class building, you’re talking about moving your most precious cargo, which are the children and, in some cases, the neonatal patients, and moving them over. The methodology involved in the overall move is just amazing. That’s been taking up a significant portion of our time, just to make sure this is an all-in effort and the technology associated to getting these things done is a herculean task. I can’t express enough how important it is. It almost becomes a skill set in itself when it comes to children’s move, and you’re going to see more and more of these occur in the future. I would emphasize to any organization that if you have one of these events in the near future, reach out to other people who have experienced it, because there are a lot of valuable lessons learned and ideas that come out of this kind of move. So that’s a big thing for us, as well as the continued development of the Southern Tier or Twin Tier approach, which is the six other hospitals coming on board. Another initiative we’re really excited about is developing a mobile platform. One of the things we’ve worked on and we’re really excited about is our mobile wayfinding solution. We put this up on the ambulatory side already, and it’s going to be ready for the Oishei Children’s Hospital. Basically, what we’ve created is an Uber-like solution for hospitals to aid in wayfinding. So if you’re home and you have a doctor’s appointment, the app that we’ve developed is going to remind you of that, because it’s connected to your EMR. It’s going to remind you that you have a doctor’s appointment — and not only that, it’s going to get you to that doctor’s office. We have a relatively large medical campus, and this app is going to get you not only to the area, but to the closest parking site. Once you get inside the facility, we have a geofence that’s there. It’s going to kick in, and it will allow you, using blue dot technology, to navigate throughout the facility. If you’re passing by a Tim Horton’s or any other retail space, a coupon may pop up because it’s triangulating and using your location base to help find coupons and bring you to that location — it’s a closed loop system. And then we’re putting in a TV infotainment system into all of the rooms. We know that there’s a significant amount of information that’s not taken with you when you’re discharged, because patients want to go home. Now, using the infotainment system, you’ll be able to have all of the data and have all of the interaction from your concierge-like solution in your hospital bed. But also, if you want to, you’re going to be able to use a QR code to scan your information and tie it back into your mobile app and, in essence, create a closed-loop patient engagement, patient experience. In my opinion, that is transformative and really tapping into the social experience and, as a matter of fact, the generational build. That’s a strategy that we had to be aware of, knowing that there are different types of generational needs out there, particularly when it comes to using technology. The millennials may use it where the baby boomers may not, but having a generational design and incorporating that into how our customers use the system is going to be transformative. And again, we’re making that a closed-loop process as well so that when they go home, they’ll be able to pull up their medication instructions or discharge instructions, and not just disregard it. So that’s what we’re really excited about. As we move forward, we have a component of it already live in our ambulatory center, and it’s just amazing. We’re also connecting it with the Buffalo Zoo so that the kids in the rooms will be able to not only see the Zoo TV, they will be able to look at the pandas and the seals and the lions from their TVs, and they’ll be able to look at it on their mobile devices. So we’re really excited about these kinds of things and how we can really change and enhance the experience for our customers.